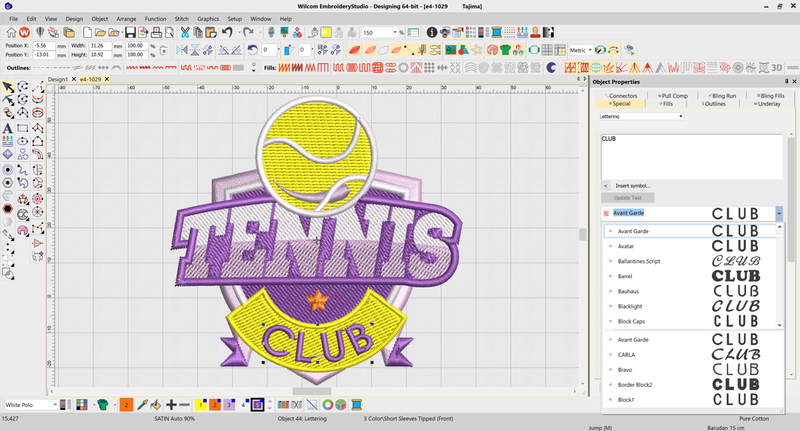 In our most recent major release, EmbroideryStudio e4.2, we introduced a number of improvements to the way you select and use fonts. 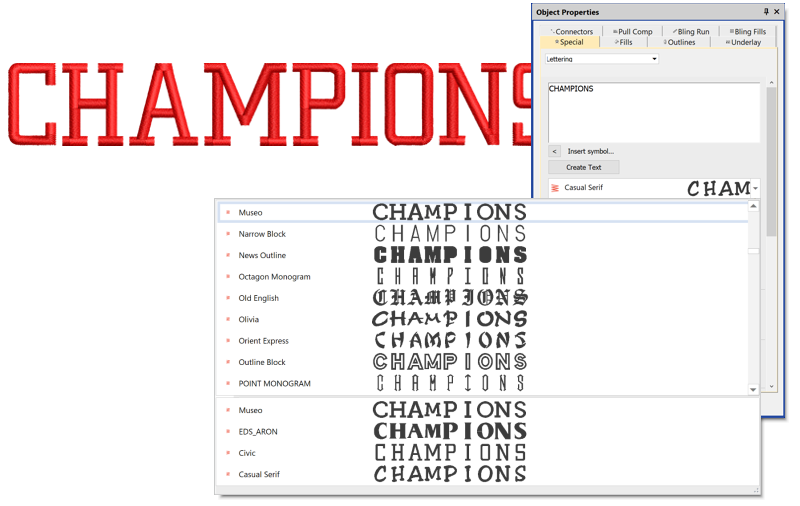 The font previews in e4.2 are now solid, meaning you can quickly and easily see how the fonts will sew in embroidery. How often do you select different font styles while digitizing a a logo or design, only to forget the name of the font you preferred while testing different styles? It happens all the time!, To help with keeping track of your used fonts, we’ve created a new feature called Recently Used Fonts. A list of your recently used fonts will appear at the bottom of your font drop-down list. You can see the number of recently used fonts that appear by browsing to Setup > Options and in the General tab, and then set the ‘Number of recently used fonts’ in the Font List section. Another welcomed improvement in e4.2 is remembering your currently selected font in the font drop-down list. When you open the font list, it remembers the currently selected font, allowing you to continue searching from this point without having to start all way from the beginning of the font list again. Do you know your font names off by heart? To save time selecting a particular font, simply click the font drop-down list, then start to type the font name. Without using your mouse or needing to scroll, you can quickly select your font. 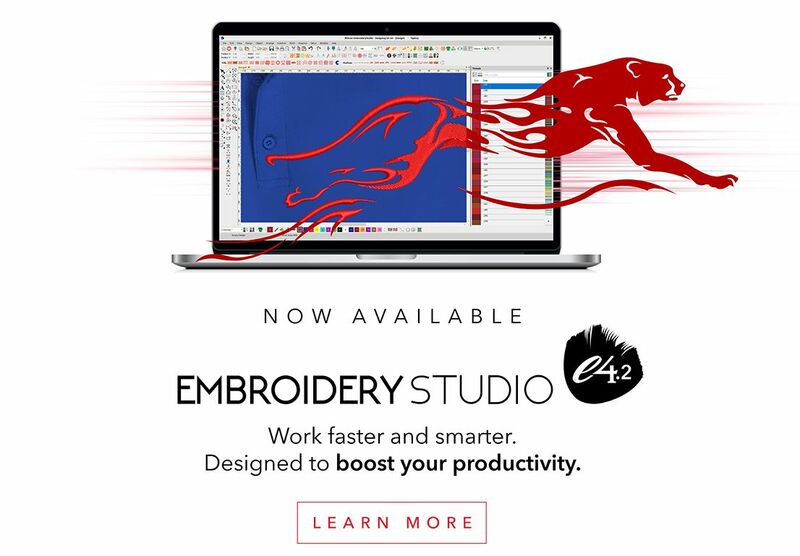 To read more about these and other EmbroideryStudio e4.2 improvements, see What’s new in EmbroideryStudio e4.2.